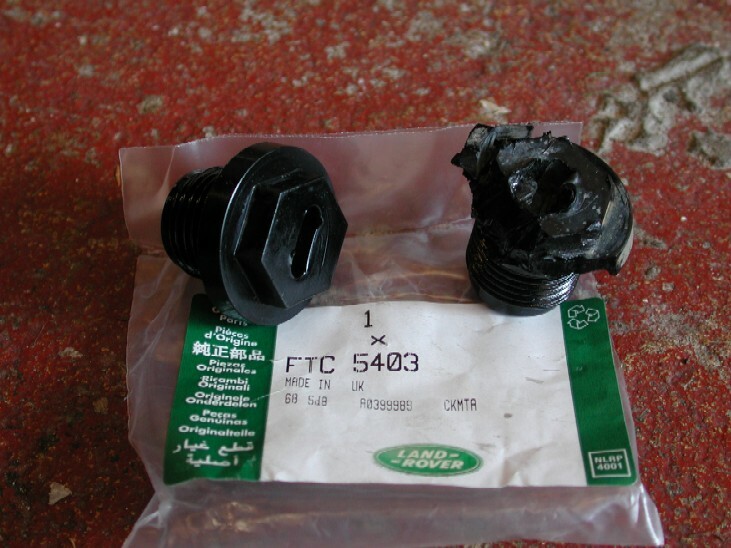 As the Land Rover is a 4x4 it has a lot more oils that have to be changed when compared to a standard vehicle. This includes the front and rear axle or Differential oils. The oil in the differentials has to work very hard even during normal use, if you go off road and in particular wading in deep muddy water, changing or at least checking your diff oils is very important. 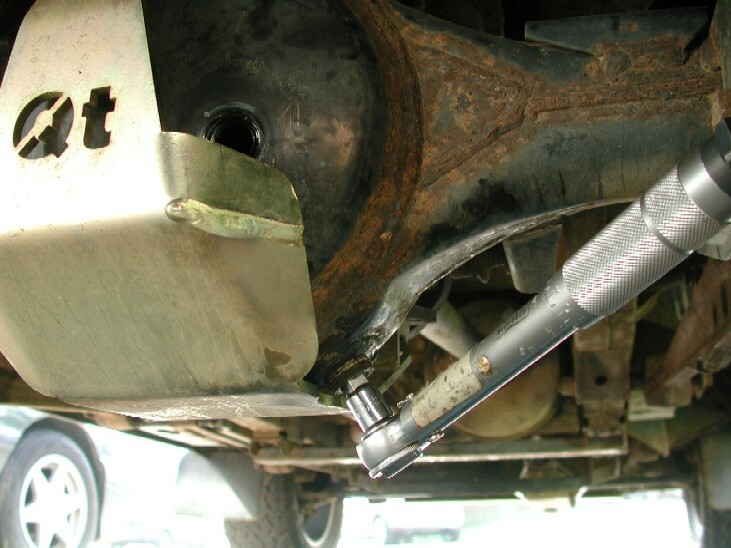 Land Rover recommend that oils in the axles be changed more frequently if you do regular deep wading whilst off road. I can only assume this is primarily aimed at reducing the possibility of water contaminated oils in the differentials. 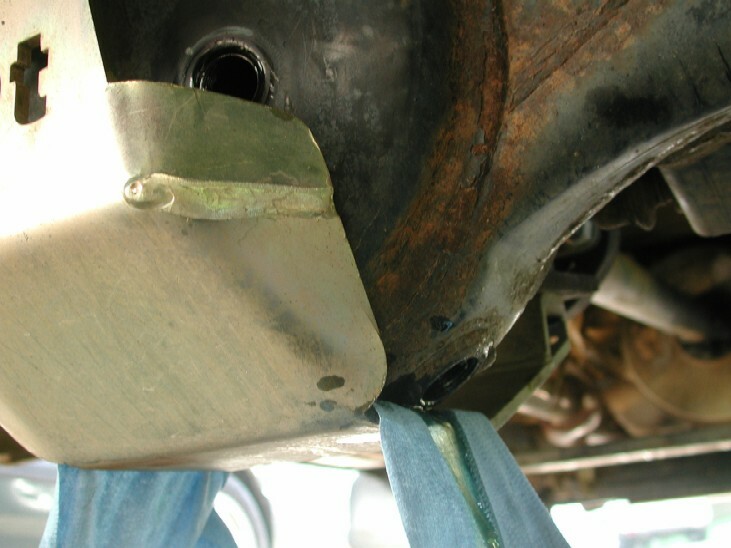 The axles "should" be fully sealed and if you have extended your breathers like I have, its unlikely you will get any water into your axles unless you have leak somewhere. Remember if oil is leaking out, then water can get in !!! The front and rear differentials are identical on the Discovery 2, and they both take the same type and capacity of oil. Below is the workshop manual info. My Local Land Rover Dealer no longer supplies the differential oils in 1 litre bottles as they use it from a large barrel in their workshop. So with this in mind I looked else where to see what was around. As long as you choose a high quality oil that meets the specifications above, then all will be ok. 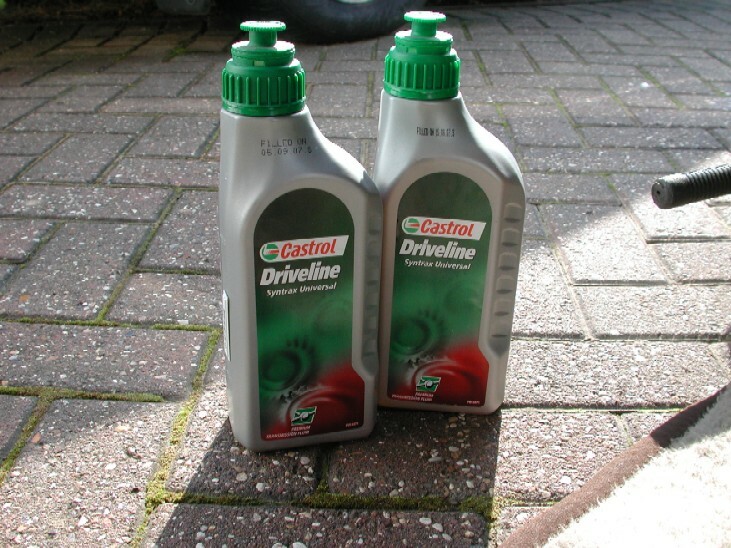 In the end I decided to use Castrol Syntrax which is a semi-synthetic and it is readily available at my local Halfords store. To make sure you have enough you will have to buy 4 litres, it retails at around £12 a litre. So first of, you need to get you truck parked on flat level ground to make sure you can fill the differentials to the correct level as they fill to overflow. My driveway is slightly down hill in both directions, so I parked the Disco on blocks of wood to even it up. If you get the roofline horizontal front to back and side to side, then that is pretty good to go. Now, a word of caution, the Fill plug on both differentials is made from plastic, its a 21mm size spanner, and it also has a slot in the middle to allow a large flat bladed screwdriver to be used. I had heard these plugs can break / chew up when trying to remove them, so with this in mind I had bought some a while ago ready for when I do this job. It's a good idea to make sure you can get your fill plugs out BEFORE you drain the oil, otherwise you may have a problem !!. I started on the rear diff and attacked the fill plug, first of with a spanner and then a screwdriver, then both at the same time and I could not move it!! In the end I had no choice but to chisel the plug and knock it loose. This obviously made a mess of it. The plug has an "o" ring behind it which I consequently chiseled through, but I had a selection of new "o" rings in the garage to solve that issue. The "o" ring is shown / mentioned in the workshop manual, but no reference at all is made to it in the parts catalogue (good old Land Rover !! ). For information , it has an internal diameter of 22mm and about 3mm thickness. If you are careful, you should be able to avoid damaging the "o" ring and still get the plug out. Below you can see the old plug destroyed whilst removing it, new one and part number on the bag. Now you have to place a container under your drain plug to catch the old oil. The drain Plug has an internal 1/2" square drive in it. So a ratchet, or breaker bar will remove it no problem. 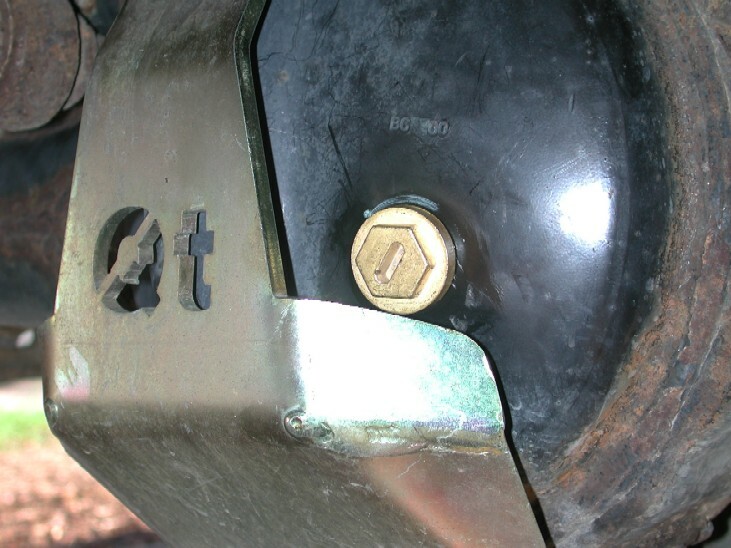 The plug is also magnetic to collect any metal particles that are in the diffs either from the manufacturing of the vehicle ( most likely) and from general wear and tear during use. 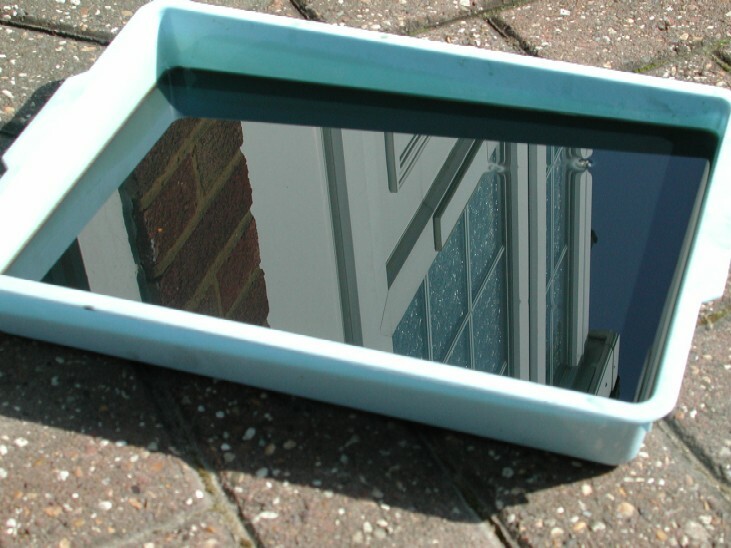 You will find its covered in a very fine metallic gue, this all needs to be cleaned of before refitting. 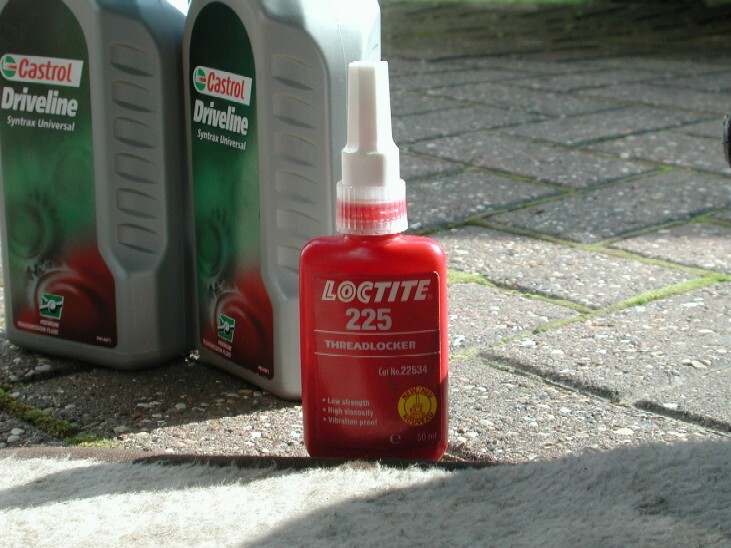 Also make sure any traces of the Loctite are removed from the threads. Let the oil drain into the container, I left it for a good 10 mins to let all the last drips of old oil come out. Here you can see my QT diff guard. It has a clearance machined in it to allow the drain plug to be removed. Access to the fill plug is only slightly restricted as well, if you cannot get on your plugs squarely because you have diff guards, then its best to just remove them first to make access easier. Now the "possibly" messy bit, The bottles of new oil have an extendable spout which does make the job a lot easier. On the rear axle there is plenty of room to hold the bottle up higher to allow the oil to be poured in easier, on the front axle, space is a bit more limited and you will need to squeeze the bottles to help get the oil in. Now you simply fill the axle till it overflows with approx a 2mm bead of oil dripping down the front of the case, at this point, clean the axle case off and refit the fill plug, tighten to 10 NM or 7Lbs ft and your done !! The procedure is identical for both the front and rear axles. On My car I had to remove the front QT axle Diff guard to make it easier to get the fill plug out. I also parked the car on some larger blocks of wood to aid access underneath the front end. The front axle fill plug came out no problem, but its always advisable to have at least 1 new one available to you for when you do this job. After the hassle of getting the diff fill plugs out, I looked for a replacement even though I had fitted new plugs. 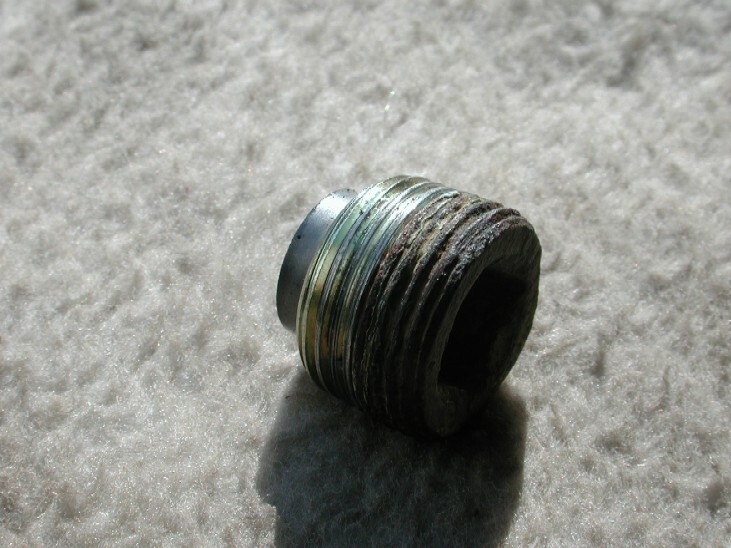 After a bit of searching around there is a Brass replacement plug available easily on Ebay. 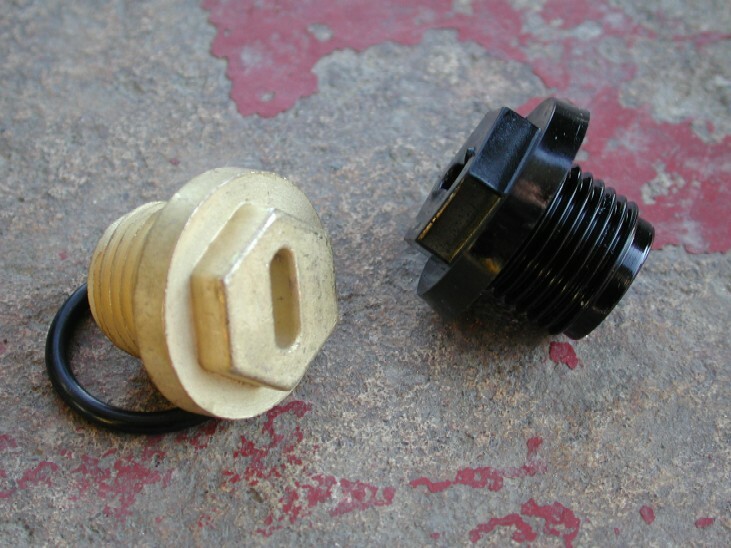 It is designed to fit the bleed plugs on the radiators on the early Discovery 1's and Defenders, How ever its the same thread / design as the Diff pan fill plugs and its a flanged plug with an "o" ring seal. Same plug fits both front and rear diff pans, I simply drove up onto some ramps to change the front one so I did not loose any of the new oil, and reversed up the ramp to change the rear plug to.